A criminal psychology degree is the first step toward a rewarding career in the criminal justice field, and is more sought after than ever due to the advanced needs of police departments and other law enforcement agencies. Criminal psychology programs prepare individuals for advanced training in the areas of psychology, criminology, sociology, biology and behavioral study. All of these tools are put to use to help an individual understand the criminal mind to help prevent and solve crimes. The study of criminal psychology has always been popular, because it helps individuals see different views, better understand the world in which they live and develop skills they need to make it safer for themselves and their community. Did you know? Although the role of criminal psychologists may not be as exciting as portrayed in TV shows like “Criminal Minds”, careers in criminal psychology include many exciting activities such as analyzing a criminal’s life history, providing expert testimony in court, or conducting a psychological assessment of a suspect to help solve a crime. Criminal psychology programs include a variety of courses of study and involve several different disciplines. It fits well for individuals who are curious but may want to transfer credits as well as those who are sure they want to be part this growing career field. Programs typically begin with either a two-year associate’s degree or four-year bachelor’s degree. Criminal psychology is a diverse and complex field, however, and many pursue advanced degrees at the master’s and doctorate level. Many course options are possible when approaching the study of criminal psychology. Basic courses include psychology and sociology. More advanced classes may include abnormal psychology, biopsychology, criminal behavior and genetics. Upper-level experiences often include examining case studies, visiting corrections facilities and interviewing individuals with intimate knowledge of the criminal mind. Additional certification is available for those in criminal psychology programs, including approval from the American Board of Forensic Psychology and the Society for Police and Criminal Psychology. How many years to stduy psychology of graduate program? Typically, a masters degree within this field of study takes two to three years depending on the specific specialty. 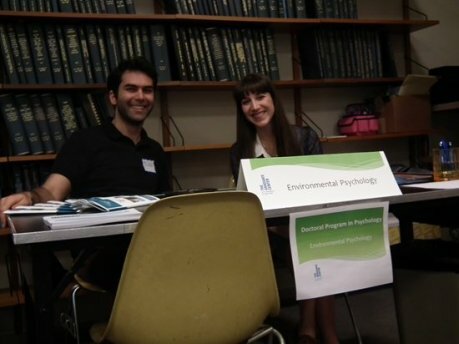 Which Psychology Graduate Program Is the Best?